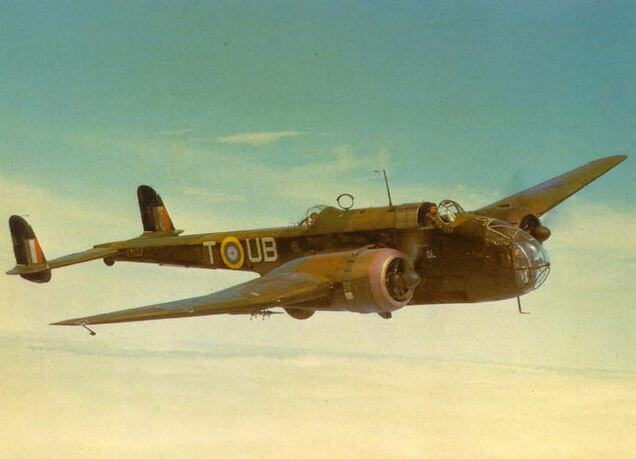 The Handley-Page Hampden was designed to the same RAF specification as the Wellington, and first flew in 1936. 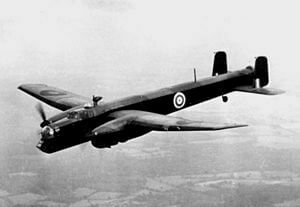 Along with the Whitley and Wellington, the Hampden bore the brunt of the early WW2 bombing war over Europe, taking part in the first night raid on Berlin, and the first 1,000 plane raid. 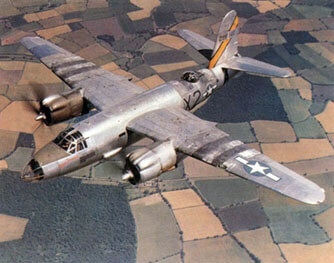 The Hampden used the Bristol Pegasus engine. A variant using the Napier Dagger engine was built as the Hereford, but problems with engine cooling led to most being re-engined as Hampdens. 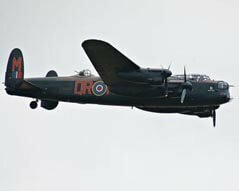 The aircraft was largely unsuited to the modern air war and was withdrawn from front-line Bomber Command service by 1942. 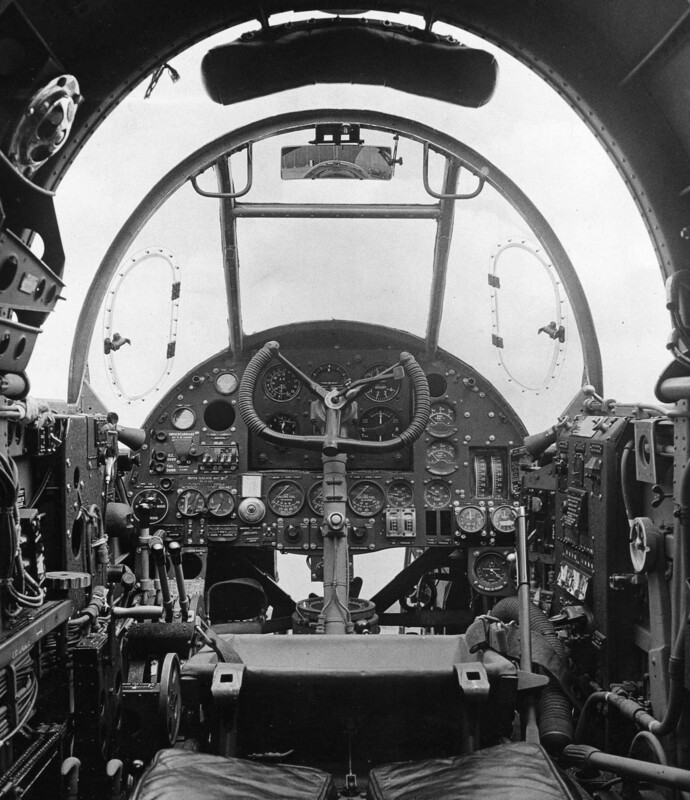 It continued with Coastal Command as a torpedo bomber for a short time. Only 1430 examples were produced, including 160 assembled in Canada. This title contains the flight manuals (called Pilot’s Notes by the RAF) for the Handley-Page Hampden and Hereford, plus two maintenance manuals (called AP Volume Ones – Desriptive and Servicing Handbooks by the RAF) for the Hampden. The files have been copied from the original flight manuals and retain any colour pages. 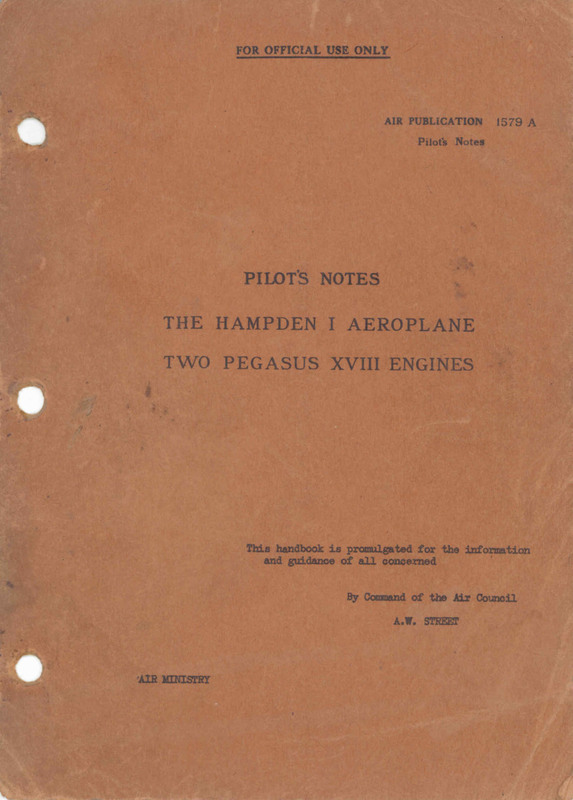 RAF Pilot’s Notes for the Handley-Page Hampden I, AP 1579A-PN dated October 1939 with approx 86 pages. RAF Pilot’s Notes for the Handley-Page Hereford I, AP 1623A-PN dated August 1939 with approx 64 pages. RAF Air Publication Volume One (Descriptive and Servicing Handbook – RAF Maintenance Manual) for the Handley Page Hampden I, AP 1579A Vol One 1st Edition dated August 1938 with approx 140 pages. 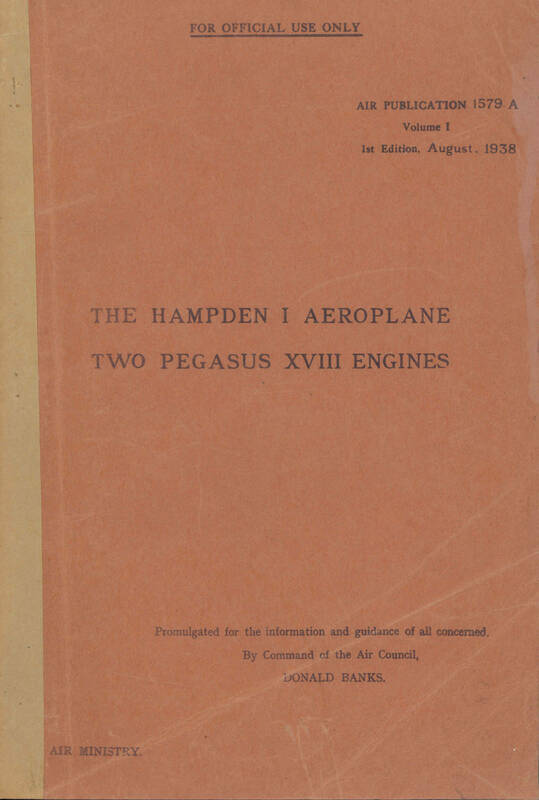 RAF Air Publication Volume One for the Handley Page Hampden TB.1, AP 1579B Vol One (supplement to AP 1579A Vol One), 1st Edition dated July 1943 with approx 48 pages.